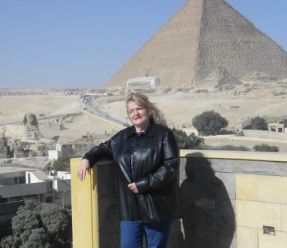 Egyptian Essences and Life Coaching-Mentoring taught by the Arch Angels and Ascended Masters of Light. Not really - You can get there. Painting "As a Mind Thinketh" by Madalyn Kennedy copyright of the artist. Dare to Live Your Dream Life! Live You Passion!! Request your FREE Consultation Session Now !! ........that you intuitively take a person that’s energy is low and gray, and you surround them with light & love and then you intuitively counsel them, bringing them into a totally new color palette of energy which builds their self-esteem, renews their confidence and brings them forward into revitalizing their love for themselves. ​You have many tools, intuitive skills and essences which help you council each individual on their ascension path. I have witnessed many times in your Beloved Essence booth where you have guided an individual with the essences & I have watched them blossom with higher energy. What a beyond wonderfu﻿l experience this was!﻿!!! ﻿﻿After a very trying past 2-5 years, feeling lost, unable to make decisions without horrible outcomes, loosing myself, brain fog, allowing myself to trust others who were only into manipulating me to do what they wanted for themselves instead of having my best interest at heart. I had lost that trust both in myself as well as others..... you name it. Won﻿dering what I could or should do next, not trusting my abilities. I made a call to Madalyn. 20 minutes later I was totally calm, at peace, when I thought of something that was or had been nagging me it just dissipated with a "Pooff" like a puff of smoke and then it was gone. I would still ﻿think or perhaps the thought process went into play but evaporated before it took ﻿form. "Pooff". I slept the whole night without any thoughts invading my mind, I even slept in till 8am instead of my normal 6am up and at it. I woke refreshed, at peace, calm.... my brain was calm. ﻿ I phoned her again this morning and we went over a couple of things. "Pooff" as she said she could feel my energy to be able to make such big decisions in my life I was a little scared. Once again she did her thing and calmness swept over and into me. I am at peace thanks to this woman and the amazing work she has and is doing. "You are the Master of each moment of your life."